Our client is migrating from Luminate CMS to Drupal because they want to improve performance without changing the look or feel of the site. Each of the pages on a Luminate site are like snowflakes - unique. It doesn’t make sense to rebuild those features as structured blocks given that they only appear on one single page. So having the ability to use existing JS and CSS allows us to copy and paste markup without rebuilding a whole structure that wouldn’t be repurposed on other pages. To make this happen, first make a raw field formatter. 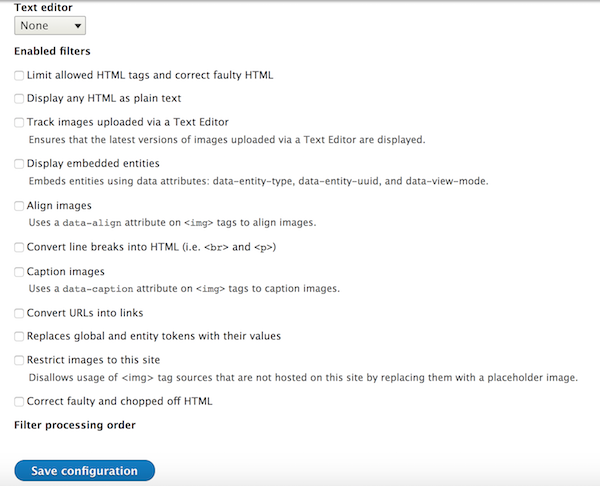 Go to Configuration > Content authoring > Text formats and editors. Add a new text format called “Raw”. None of the filters should be enabled since this will be raw output. Be sure to check the “Raw” box on the field page and save it. Now make sure our field is being output. Make sure it is enabled and the label is hidden. It should be output in the default format. 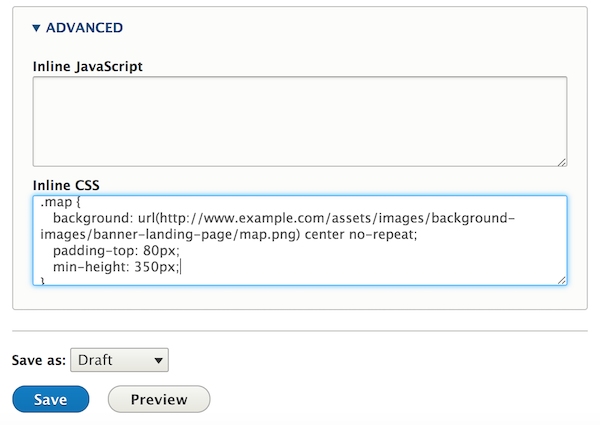 We also provide a WYSIWYG place to enter HTML. In this case we need some HTML, perhaps a div, with class=‘map’. in our output! Notice the <div> surrounding our CSS! We don’t want that! 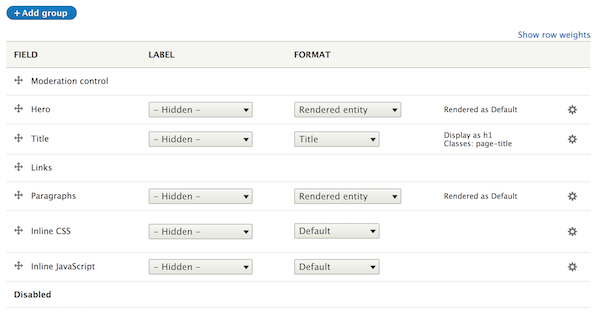 So it’s time to create a Twig template without extra div’s. One that will output raw CSS. 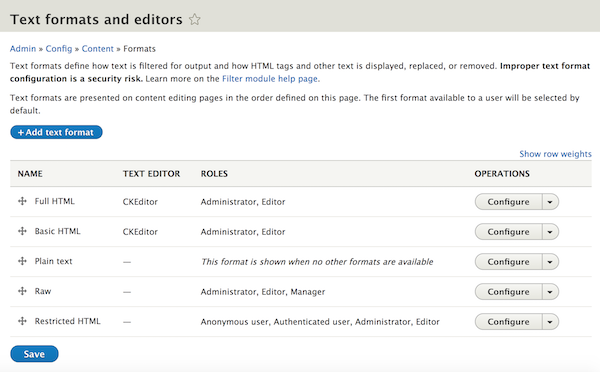 Make sure you meet your content editors where they are, give them tools they can use but don’t use this technique with novice or non-technical content editors.